​Midway through December last year I marked one year of Motherhood! An accomplishment I thought would never come especially during those sleepless nights. So when the day came I was overcome with emotion. We did it! We got through our first year of sleepless nights, lack of social life, endless nappy changes and milky vomits. One thing that was certain was that it was definitely not easy but in saying all of that here are seven things I learnt. Myself and my husband both have a lot of pride! We find it very difficult to ask for help even when we really need it. 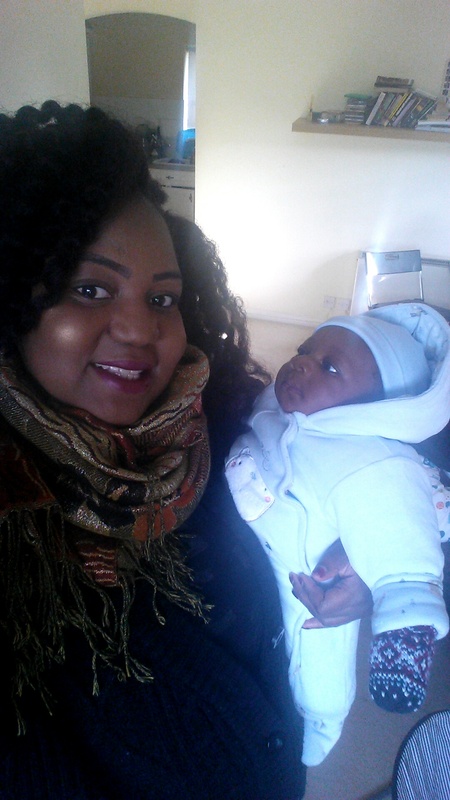 After Isaiah was born I wanted to be super-mum, trying to do it all and then cry at night to my husband that I was burnt out! When in actual fact I could have saved myself the agony by accepting help that was offered to me and also asking for it when I needed it. It really does take a village to raise a child. One thing I must say that I did and did well was do things at my own pace. A lot of people will give you solicited and sometimes unsolicited advice. Pick and choose what it is you want and what it is you do not want. Many will tell you ‘this is how I did it’ or ‘you’re not doing it right’. Your child your choices! Do not let pressure tie you down or question your parenting. Only you know your child, so go with your instincts (they’ll never let you down). 3. Every Child is Different. This was the statement I used when people would ask me why my son wasn’t doing something. For example, he didn’t do a poo every day in his first three months. So I would constantly be asked by family and friends why he hasn’t pooed and would be told that it wasn’t normal. Well…truth is it was normal for my son. He would poo every other day and on the days he did poo it would be at the very least three times! Also my son started walking at eight and a half months but at that age only had two teeth whilst another boy his age had six teeth but was still only crawling. Be rest assured that your child will develop appropriately but at his and her time. 4. Stay away from Google! I learnt the art of this whilst pregnant! If you’re a hypochondriac like myself then Dr. Google is no place for you or your baby. It’ll make you think that your baby has something new and contagious when it might just be a common cold. What I found useful was the NHS 111 service. Everytime I had a question about something I would call them and they will either refer me to an out of hours doctor or tell me to give him calpol or some sort of painkiller. 5. Make time for you and yours! In the blur of parenthood it’s easy to forget who you are and also forget your relationship as your sole focus is on your new addition. The new financial pressure meant we couldn’t go on our regular date nights. We were both so engrossed with our mini-me we forgot about each other and also ourselves. So once you feel comfortable leaving your baby resume your date-nights, make some time for yourself and whilst out try not to talk baby (very hard to do)! If money is an issue ask family and friends to watch baby whilst you and your partner enjoy a Netflix and Chill 😉 with the Marks and Spencer Dine in for two for £10 or if you shop in tesco swap your clubcard points for a meal out. The options are endless! Please remember they won’t be babies for long…one day they’ll move out so continue to invest in your relationship. When in doubt pray! Prayer works. Only God can give you the tools and the wisdom to raise your child accordingly and be the parent that you want to be. I found a lot of comfort in praying especially during those times when I found things difficult or felt like ‘just a mum’. For me prayer isn’t (always) speaking in tongues or on my knees, eyes closed in tears. Most of the time it’s me on the sofa speaking to God as if I were speaking to my husband! The best therapy ever! You should try it. Quite simply…You’re doing an amazing job. Tell yourself that everyday and eventually you’ll believe it. Remember this is new to you too so you’re not going to get everything straight away. Don’t put so much pressure on yourself! Enjoy every moment you have with your little one because (it’ll shock you) they’re not babies for long. Before you know they’ll be running around and trashing your house!